With very little light pollution the night sky above Islay can be very dramatic. 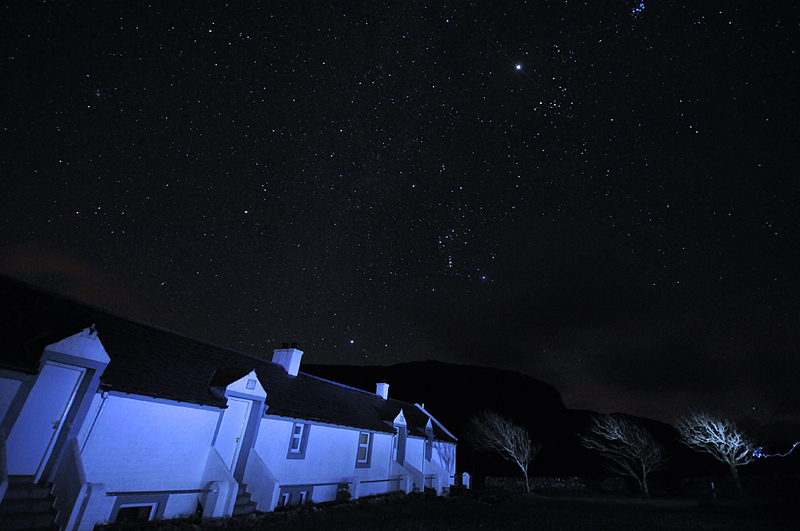 Here’s a view of the stars above Kilchoman House Cottages in November 2012. We switched the outside lights off, but for dramatic effect I quickly walked along the cottages with a torch to illuminate them and the trees outside for a short period. This is the result. This entry was posted in Night, Repost and tagged Islay, Kilchoman by Armin Grewe. Bookmark the permalink.